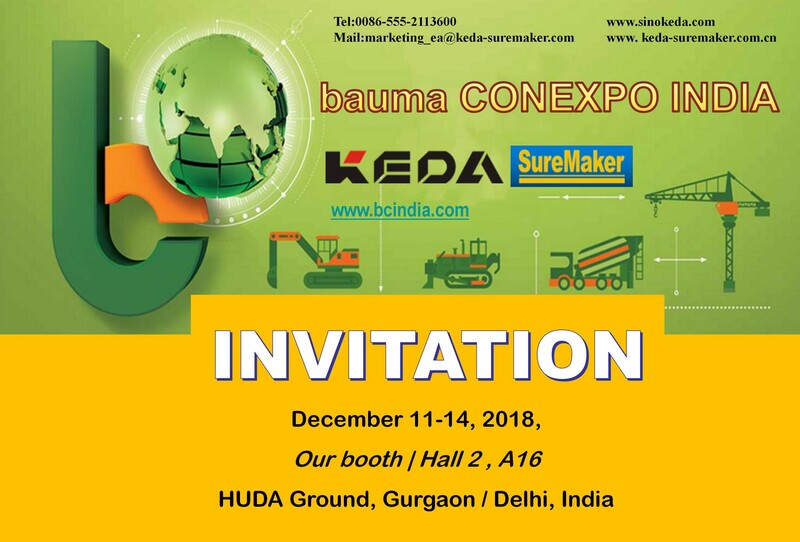 KEDA INTERNATIONAL COMMERCE CENTRE / News / KEDA SUREMAKER / KEDA Invites You To bauma CONEXPO INDIA 2018 !!! We will exhibit at bauma CONEXPO INDIA held during December 11 to 14, 2018 at the HUDA Grounds, Gurgaon near Delhi. We will display our new products and present advanced solutions on the show. Our booth is Hall 2 , A16. We are looking forward to seeing you on our booth. welcome!! !